This home is on a large golf course lot and what makes it unique is it will have a Bonus Room Upstairs with a 2nd porch to see the greens from above. If you are in Point Venture, swing by and check out the views! It will have the custom wood grain tile and custom features throughout. 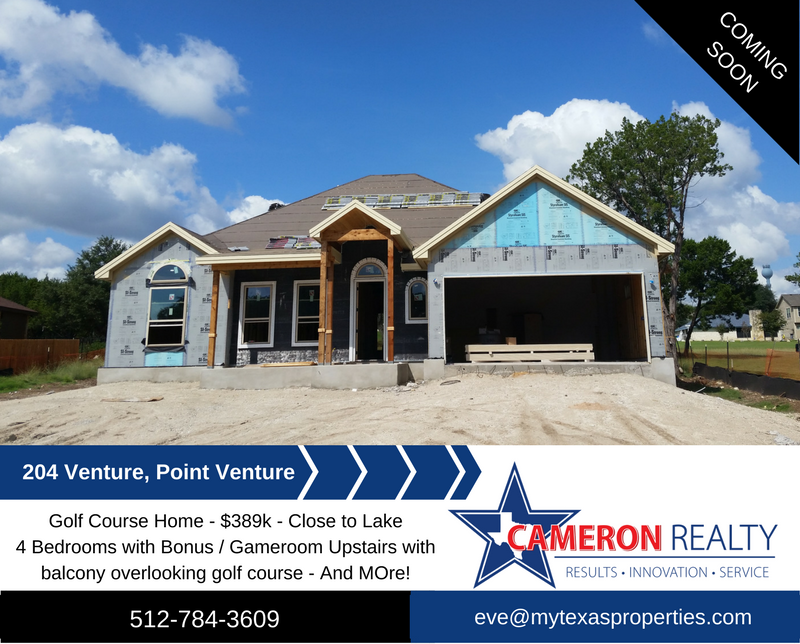 Contact Eve Cameron at 512.784.3609 for more details.